The rise in metal 3D printing in the last year has been well documented. With new players entering the market at a rapid speed, Digital Alloys is one company contributing to this evolution. 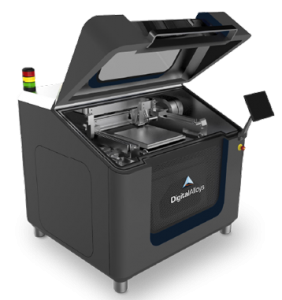 Founded in 2017, Digital Alloys has developed its patented Joule Printing technology for high-speed metal additive manufacturing. The technology promises faster production speeds, lower costs and high-quality parts rivalling conventional manufacturing. Having successfully secured a $12.9 million Series B funding round this year, the company certainly seems well on its way to disrupting the metal 3D printing market. 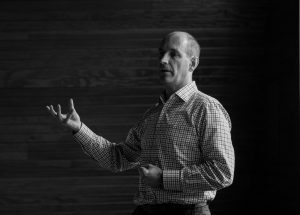 We spoke with Digital Alloys’ CEO, Duncan McCallum, to learn more about Joule Printing and his thoughts on the future of metal 3D printing. Digital Alloys hit the headlines recently with the news of two new patents for its Joule Printing technology. Could you explain how the technology works? First, I’ll start with the problem we’re solving: there simply aren’t many good options today if you want to use 3D printing for production. This is because systems are too slow, production costs are too high and the processes are too complex. This makes it difficult to get consistently high-quality metal parts. The way we’re solving these problems is through Joule Printing. The technology uses wire, which is inexpensive compared to powder and other materials. The wire is put in a precision motion system with precision wire feed. The tip of the wire is then moved to the spot on the part where we want to start a print line so that it touches the part. The tip of the wire is then melted by placing a current through the wire into the part in contact. In physics this is referred to as resistance heating or joule heating — it’s like the coil in a toaster. What are the advantages of Joule Printing technology? When you’re using joule heating, you’re heating the metal from within. Since there is no thermal time constant, you can heat the metal very rapidly with very low energy. This means that there is no thermodynamic speed limit; we’re able to print at the speed at which we can move with precision and accuracy. Our goal is 5 or 10 kg/hour by the end of the year. With a very high speed and low raw material costs, overall production costs are significantly reduced. Additionally, you can measure exactly what’s happening in the melt pool — you know exactly where it is, how much metal is going into it and how much heat is being applied. We use all these parameters to control it in real time so it’s a tight, closed-loop system, as well as capture the process data to analyze offline. The result is a system that can print metal at an extremely fast speed and high quality, inexpensively enough to be cheaper than conventional manufacturing for many applications. How does Joule Printing compare to other metal AM systems on the market? There are 3 other categories of the technology to consider. The first, which is the most popular, is powder-bed fusion. With powder-bed fusion, you spread metal powder in a thin layer and melt it with a laser or electron beam. The challenge with powder bed fusion is that powders are very expensive and a lot gets wasted in the process, leading to very high material costs. You’re also rate limited in how fast you can melt the powder: since you’re heating it from the top down, you have to wait for the heat to move through the powder. It’s almost like cooking a turkey — a process which always takes a couple of hours. You can’t go faster with greater heat because you’ll ruin the outside of the turkey. Similarly, in powder-bed fusion you’d just vaporise the powder. Overall, this is quite an expensive and complex way to make a part. The second category is Binder Jetting. Binder Jetting systems go after the speed problem. They use a lower grade powder, so it is less expensive, but the material is still much more expensive than a wire. The systems squirt glue layer by layer to build what’s called a green part. A green part is typically 20% glue. The glue then has to be removed using a chemical bath and the part put into an oven and sintered. By doing this, you hope to shrink the part by 20% to get to a full strength, full density metal. This process works pretty well for small, thin parts (smaller than baseball). But if your part walls are thicker than roughly 1 centimetre, you can’t shrink to full density because you can’t get enough heat transported into the part. Also, trying to shrink thicker walls by 20% is a big change in dimension, so it’s difficult to maintain dimensional accuracy. The net result is that this technology doesn’t really work well for parts that have walls thicker than 1 centimetre, or for larger parts. The third category people consider is Direct Energy Deposition, particularly the wire-based systems. Although these systems do use a wire, this tends to be a fat wire, typically 3 millimetres in diameter. You then melt the wire with a laser, electron beam or arc, like arc welding. While these systems can achieve pretty high print speeds, the challenge is the resolution. Since the metal is dripping or spraying into the print line, you end up with a print line that is much fatter than the wire. This means you can only print coarse, low-resolution parts. In addition, part geometry is limited because it is difficult to print overhanging regions when the molten metal is being dripped or sprayed. DED machines also tend to be expensive because you need a lot of power to melt metal in that way. So these systems are typically used for very large parts, like the size of an airframe, but aren’t quite well-suited for high-resolution requirements. So the impetus behind Joule Printing Technology was to solve all of these problems? Yes. To solve the problems of speed, production cost and quality. 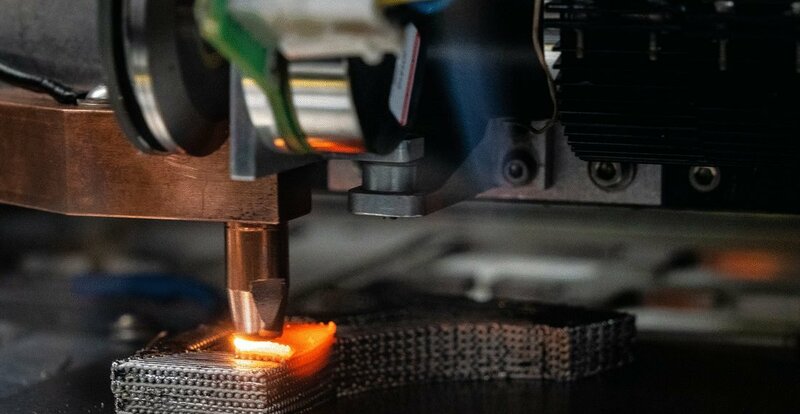 Apart from the issues of speed, cost and part quality, what are the other challenges facing companies wanting to adopt metal 3D printing for production? There is the question of being thoughtful about which technologies best fit which applications. It’s important to be clear about the problem you’re trying to solve and choose the right tool to solve that problem. It’s like conventional manufacturing: every metal part is not made the same way. Some things are machined, others are forged or stamped or cast. There is no one-size-fits-all approach for every problem. Metal 3D printing is the same. How do you see metal 3D printing evolving over the next 5 years? If today metal 3D printing is roughly a 2 billion dollar industry, I envision that it will become a 30 billion dollar industry in 5 years. This is because of the 3 huge benefits of 3D printing: firstly, you can save a lot of time because you can go right from a design to a part without building tooling. Secondly, you can achieve interesting geometries that you can’t do any other way with conventional manufacturing. Thirdly, if you choose the right technology for the right application, you can greatly reduce production costs. What role will Digital Alloys play in this evolution? Digital Alloys will play a huge role. We’re cheaper than conventional manufacturing for a very large category of parts. This means you can use our technology to cut your production costs without redesigning your part or making other changes. And that’s very appealing to customers. Which industries are you targeting with Joule Printing? We’re beginning as a provider of printed parts, with the goal of shipping our printers out in early 2020. In our first applications, we’re focusing on areas where we can cut production costs relative to conventional manufacturing. Where that’s especially true is for parts that are machined from metals that are hard to cut, such as titanium, tool steel, nickel alloys, and stainless steel. Joule Printing allows you to print a near net shape part that eliminates the scrap and the rough cut machining, generating a lot of savings. One example application is titanium parts used in aerospace, medical devices and in the marine industry. A second application is tooling, as tool steels are very hard to cut. But with 3D printing, you can add cooling channels to the tools, for example having a die casting insert with internal cooling channels that allow you to cool the tool more rapidly and shrink cycle time. Our customers for those are automotive, consumer products and aerospace. Looking at additive manufacturing, is there a trend that you’re most excited about? The move from prototyping to production. That’s certainly the biggest trend right now. What does the future for Digital Alloys look like? We’ll be building our first factory in 2019. Working in production, it’s not just about the technology. You need to know how to hire and train operators, build a supply chain, how to do quality assurance, certification, ensure regulatory approval and so on. We’ll be doing this first, making it easier for our customers to follow. After that, we plan to start shipping our printers in early 2020. You can find out more about Digital Alloys at https://www.digitalalloys.com/.